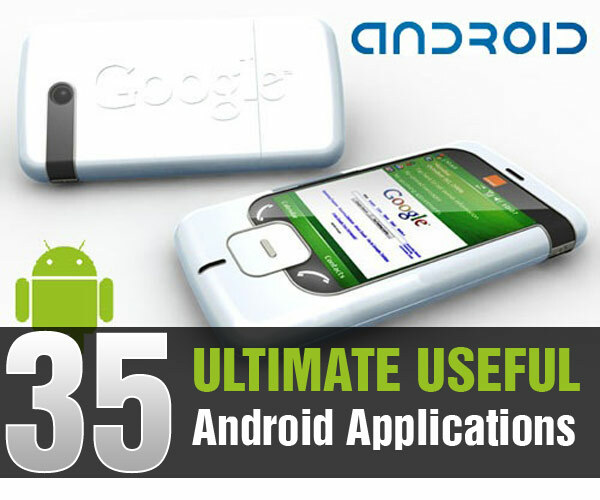 Andriod (Google mobile operating system) market is growing day by day as this OS giving lot of user friendly applications, some of those listing today as our visitors and readers demand. Android on its way to bringing flashier features to Android phones. 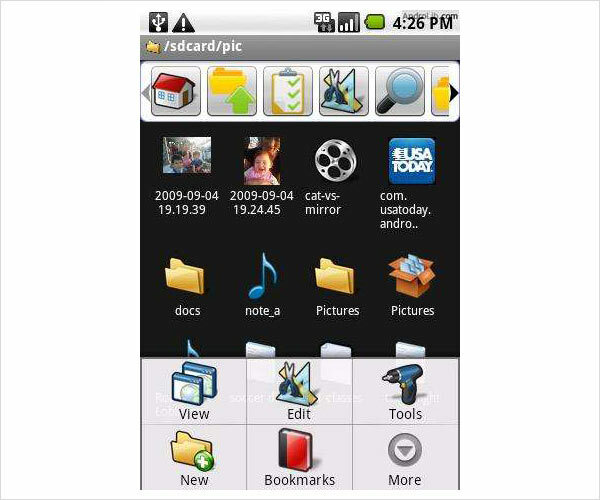 Android is a software platform for mobile devices, powered by the Linux kernel, initially developed by Google and later the Open Handset Alliance. Please feel free to leave comments for other useful Android Applications worth our time. Utilizing Android’s Google Maps application, cab4me lets users call a cab to their location with a single click. By using GPS capabilities to locate not only the user’s current location, but also the location of the nearest cab company, theapplication can initiate a call to the cab company with a mere click on the map. The application was developed by Konrad Huebner and Henning Boerger. Phonebook has a cool user interface for viewing and managing your contacts. 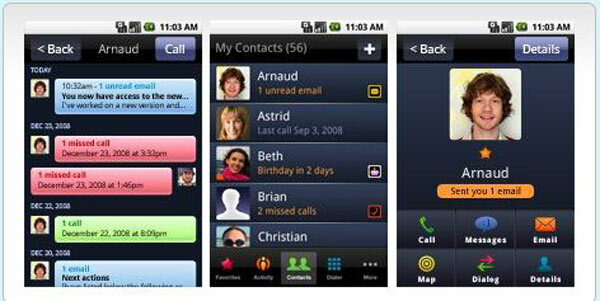 It displays your contacts with pictures and contextual information such as coming birthdays, missed calls and unread text messages. Phonebook comes with a nice landscape view, a dialer and a quick access to your favorites and most called contacts. 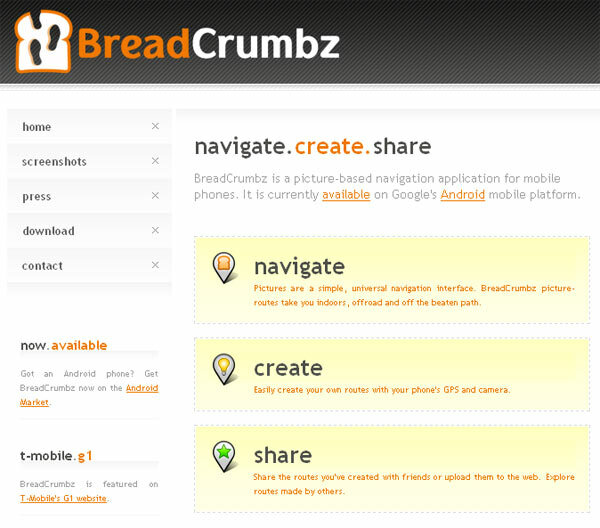 BreadCrumbz’ unique approach to navigation enables a new kind of user-created geo-content. Our aim is to develop a platform and a community where people create, store and share geo-content that is meaningful to them with their friends (“find my house”, “where I left my car at the airport”) or with the world (“best mountainbiking route in the area”, “find my cool shop”, “to your hospital’s department of suregery”, etc.). Commandro shows where are your friends REALLY are and what are they’re doing at the moment. We use GPS location information in order to make sure that you and your friends have actually reached the planned destinations, and, hence, will display 100% true real-life event and location information with regards to your and your friends. 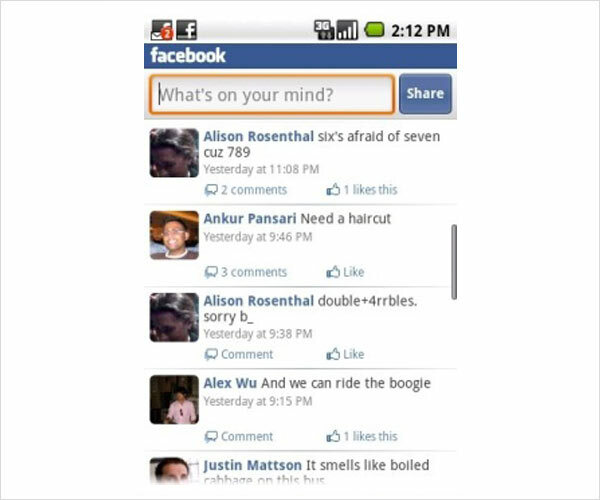 Pretty decent way to read and post status updates. Update your status, post pictures, check out your friends profiles, make comments all from the comfort of your device. This is a must have if you have a Facebook account. 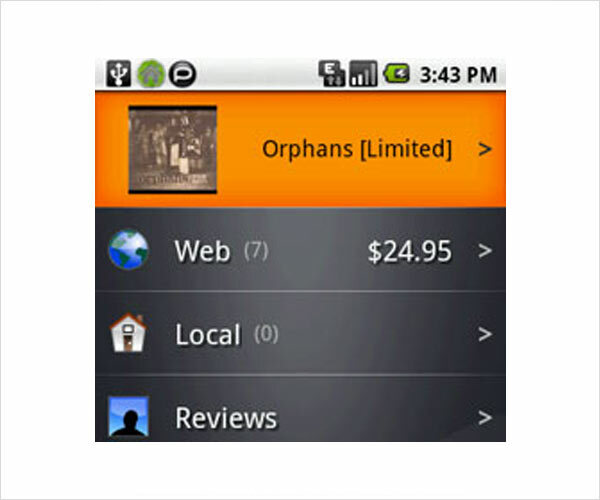 Opera Mini is an Android app that serves as an alternative to Android’s default web browser. It is a extremely lightweight. Opera Mini loads most websites much faster than Android’s Browser loads the full HTML site. Extra speed is also accomplished by Opera compressing and routing the page through their own servers. Cooking Capsules is the first smart phone utility of it’s kind. Cooking Capsules are for anyone who wants to simplify the process of cooking. 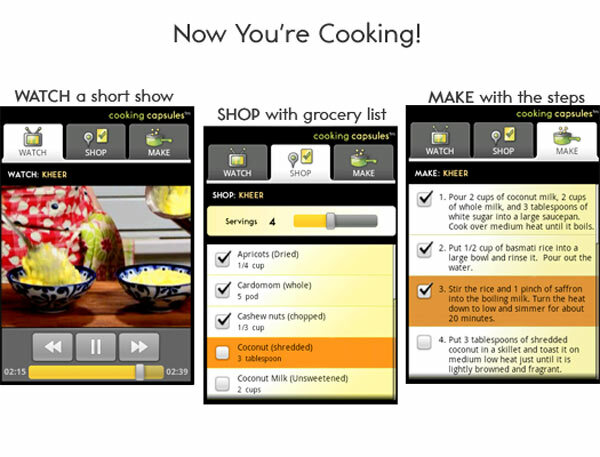 Simply “watch” a very short cooking show, “shop” with the grocery list, and “make” using the handy step-by-step recipe directions. 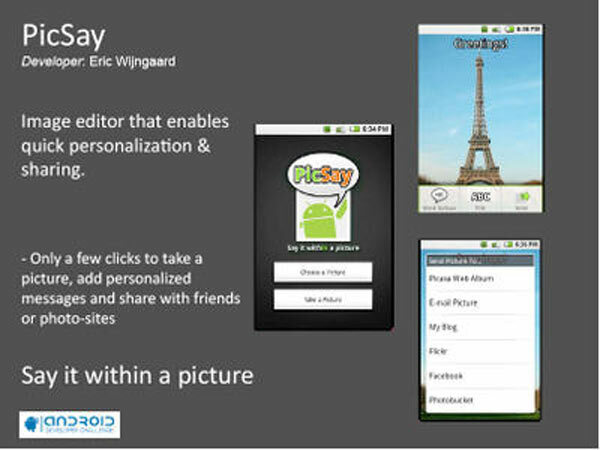 PicSay is a small app that lets you edit and modify photos on your phone. You can add speech balloons, any of a range of text styles, and images like hearts and stars to your photos. Or if you’re feeling less whimsical, you can modify the picture’s contrast, tint, hue and saturation levels; flip and rotate your image; and do other basic editing tasks. 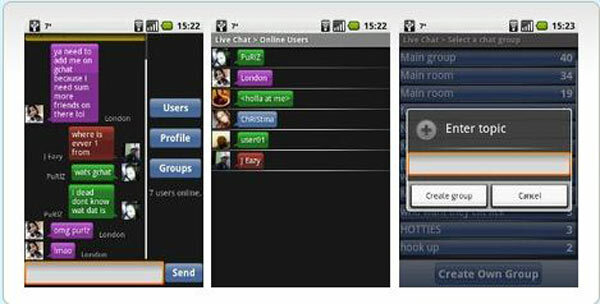 Chat, flirt and discuss with other users in this Live Chat application. You can create your own chat groups and create a profile with photo. This Android based Twitter app is available in a free and a pro version. 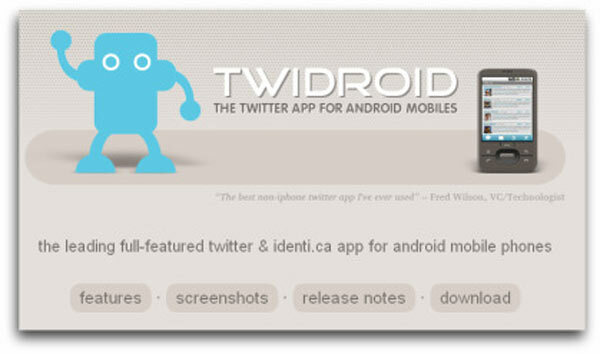 Both of Twidroid’s offerings provide most every Twitter function you might need, from the basic viewing and sending tweets, following and unfollowing users, viewing profiles to the more advanced: saved searches, URL shortening, photo posting, and geo-location support. 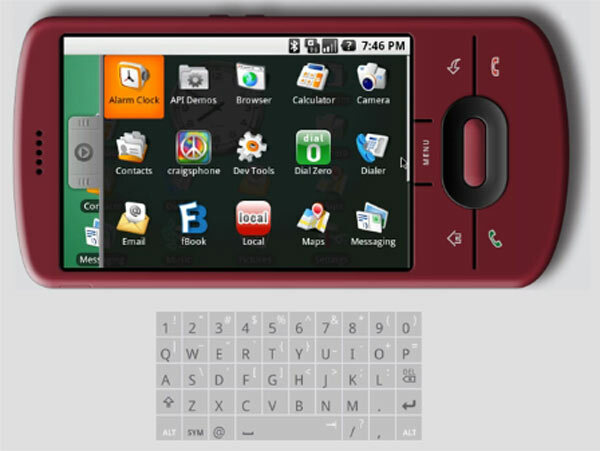 It calls itself a mobile interface, but in reality Moov is a launcher. 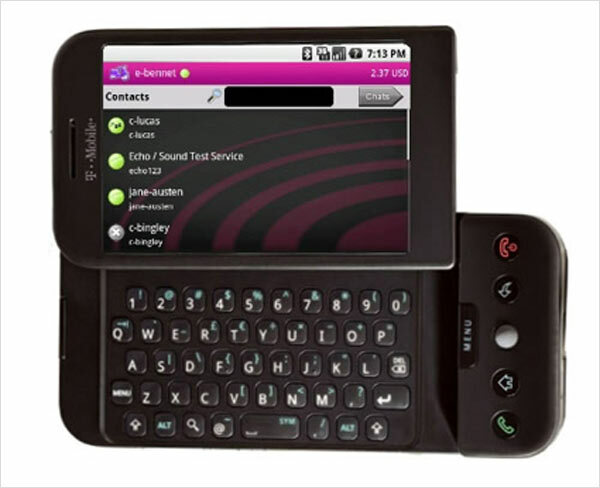 From the dashboard view, slide open the keyboard and begin typing the first few letters of your MP3,application , address book contact, and so on to get a list of search suggestions popping up on a separate screen. Moov even helps you out by offering tabs that let you search your term in the publisher’s other apps: Fbook, Quickpedia, Local (Yelp), and Dial Zero. 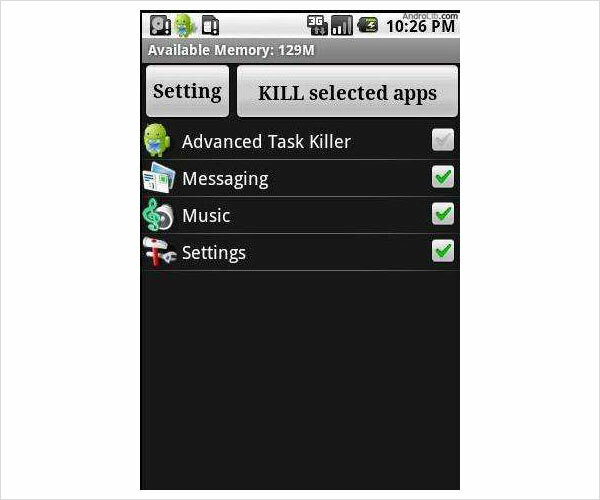 iSkoot is a free app for Android phones that puts Skype on your mobile. Click to call or chat with your Skype buddies! Make inexpensive international calls with iSkoot, as well, through SkypeOut. This is similar to iSkoot app for iPhone. ShopSavvy is all about the deals. Enter a product name or barcode (using the keypad or the camera), and ShopSavvy identifies the product, searches the Web and local chain stores for the best prices, and collects reviews of the item. This is a really fun and nice to have application, many android applications around the web are publish with a barcode image, I’m guessing most of you have seen these floating around. And in case you didn’t understand what exactly it was, here’s the answer. Scan barcodes on CDs, books, and other products, then look up prices and reviews, or search for a word in a book and find where it occurs. 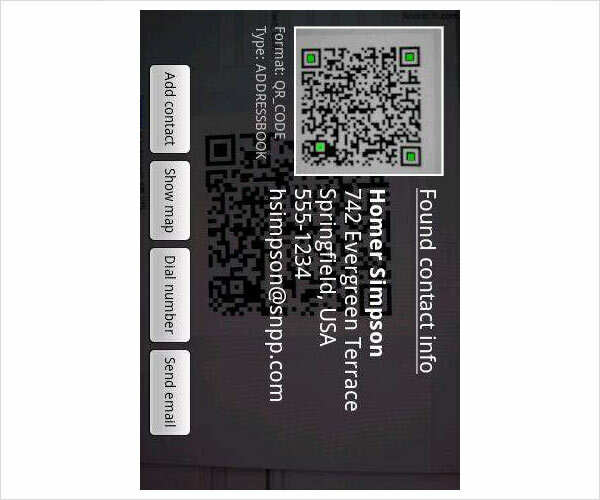 You can also scan QR Codes containing URLs, contact info, calendar events, and more. 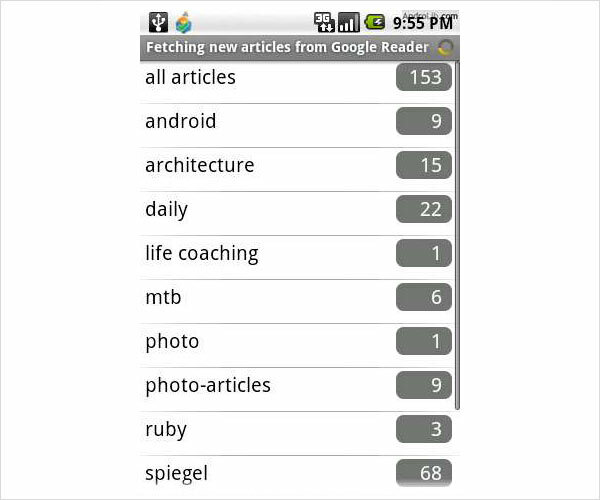 Searchify lets you perform translations, calculations, unit conversions, wikipedia searches, calendar entry and more just by typing in searches into the main search box on Android (1.6 or higher). You can use Searchify just by hitting the search button and typing – you don’t need to open an app at all. So it can replace your wikipedia app, your calculator, unit convertor, and it’s the fastest way to do all these things. 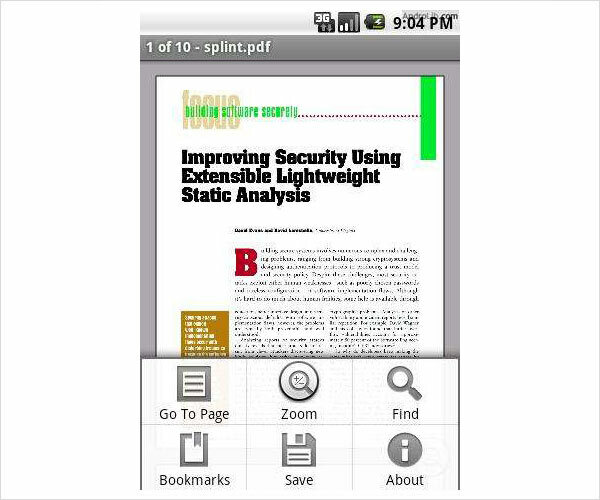 I’ve tried many different PDF readers, and none suited my needs or was easy enough to use. Then a friend tipped me about this application and it was exactly what I was looking for. View PDF files and e-mail attachments in their desktop quality. Documents are rendered locally on device. 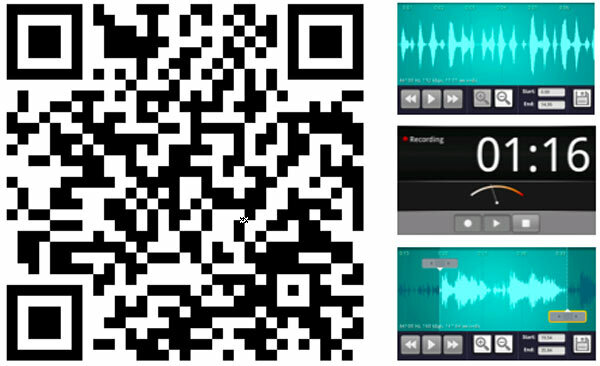 Ringdroid app for Android lets you create free ringtones from your favorite songs. Just load a song onto your SD card, select start and end points, and save it as a ringtone, alert or notification. 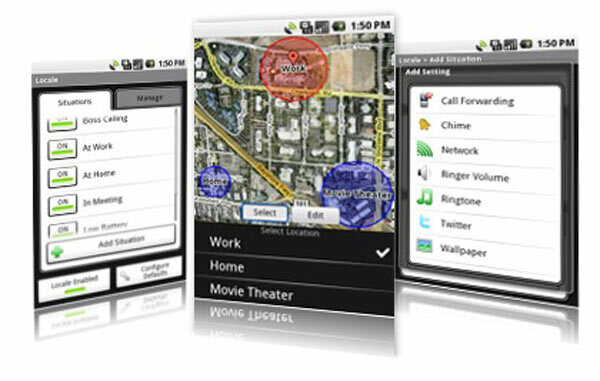 You can even record your own ringtones with Ringdroid. Google Voice is a new service from Google that gives the user his own personal phone number. 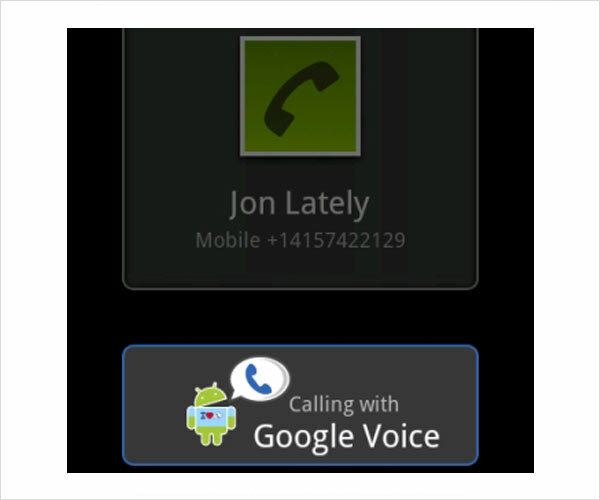 You then can use your Google Voice number to make phone calls or send SMS messages from the web. And the Android app lets users do the same from their Android device. This means users can make and receive calls and text messages on your Google Voice number through your phone. Google Voice also archives all voice mails and SMS messages online, so you will never lose that important message. 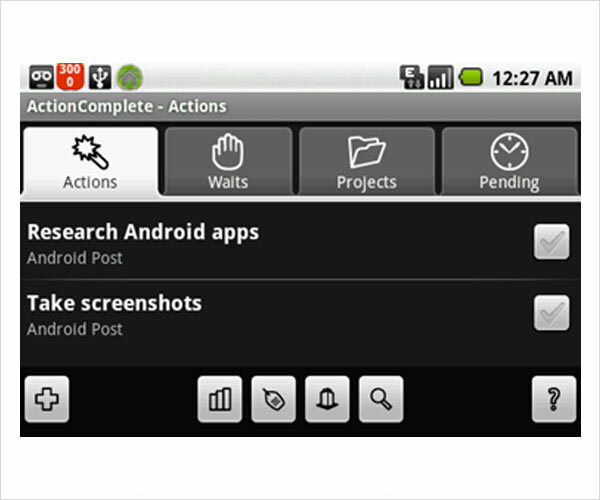 ActionComplete is a high-tech to-do list for your Droid phone. 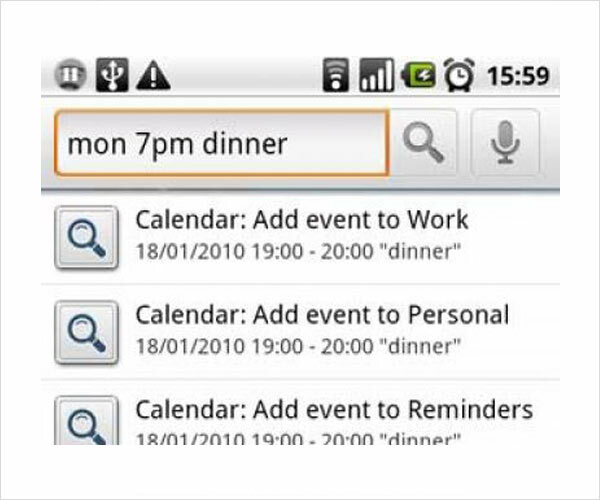 It makes it easy to organize your tasks and appointments. You can even set reminders that will pop up based on where you are, allowing you to remind yourself of certain tasks at the office, others at the home, and so on. One Nightstand is your new favorite bedside clock, but it’s so much more than that. 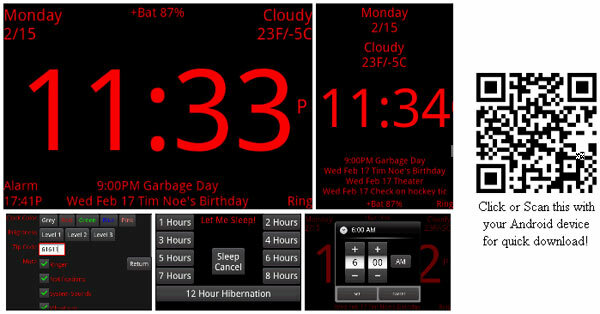 One Nightstand features the usual time and date functions, but also includes current weather, upcoming calendar events, alarm, and the great “Let Me Sleep” function that lets you set a sleep timer that shuts off noises from your phone (all configurable) for a certain amount of time. In the free version, you can set the 1 hour “Nap” timer, and in the full version you can set from 1 to 12 hours of peace and quiet. 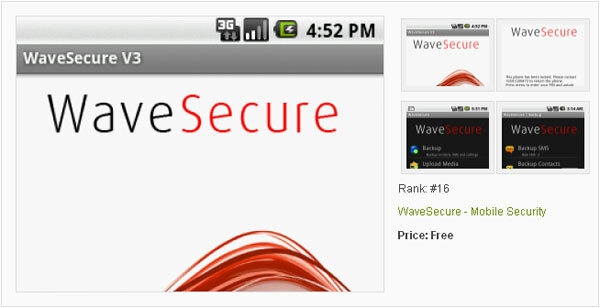 WaveSecure is the complete mobile security service that lets users protect mobile data, ensures privacy in the event of theft and enhances the possibility of recovering the phone. 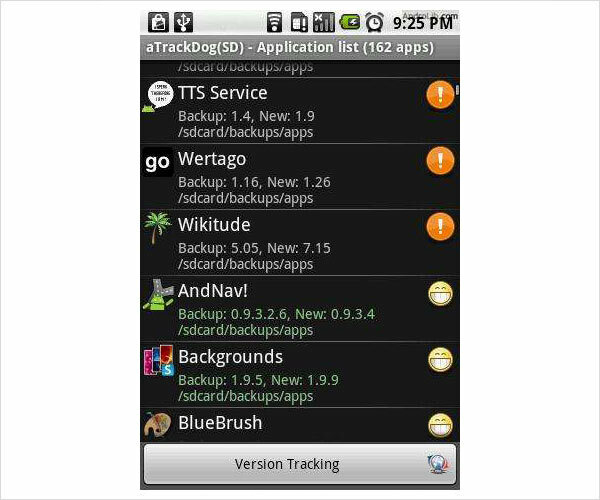 Track SIM changes, lock, backup, wipe & restore your data. 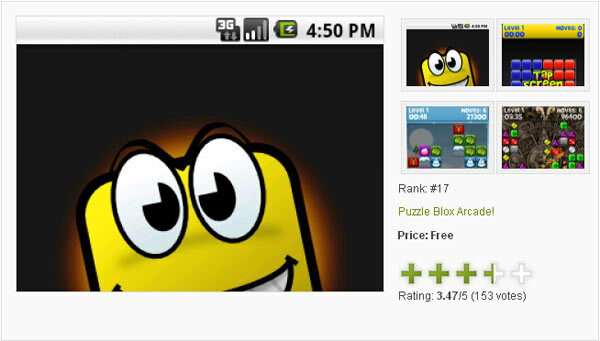 Puzzle Blox is a casual game with a lot of puzzling and fun for your mobile. 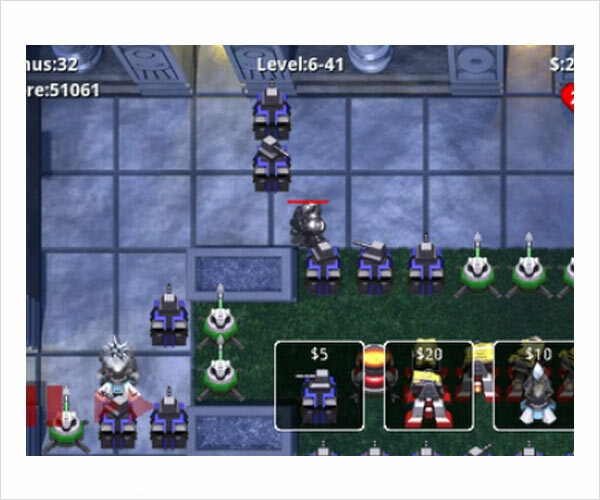 It is inspired by games like Tetris, Bubble Breaker and Bejeweled with a different twist. Literally! Clear the levels just by tapping, twisting and tilting your phone. Yet another Google Labs product for Android. 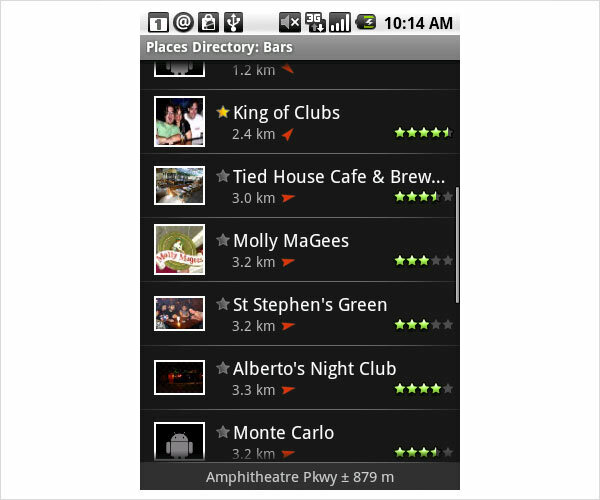 As the name implies, Places Directory allows you to browse nearby places in categories like Restaurants, Movie Theaters, Hotels and Banks. You’ll see distance and directions to the destination, and if you tap on the listing, it’ll show ratings and photos. You can also call the business or view its location on Google Maps. This application is actually really cool. 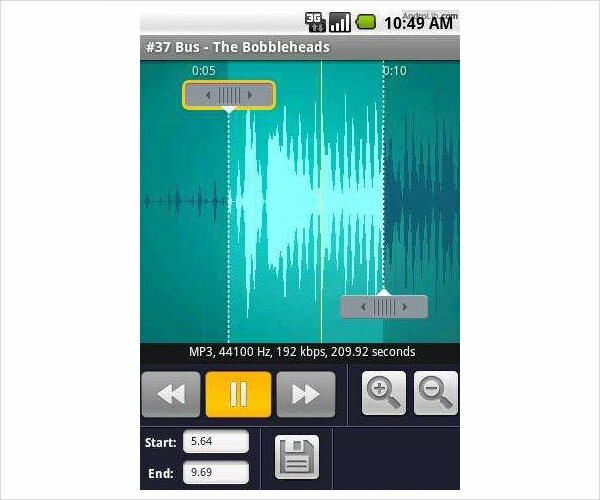 It lets you manipulate song tracks, so that you can use songs from your music library as ring-tones. Whats great about that? Well say you want the ring-tone to start 1min 30secs into the song, and last for 20 seconds (chorus maybe? 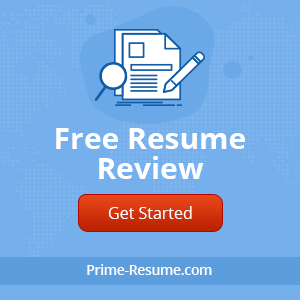 ), this application makes life easy for you. Supports MP3, WAV, AAC, MP4, 3GPP and AMR files. 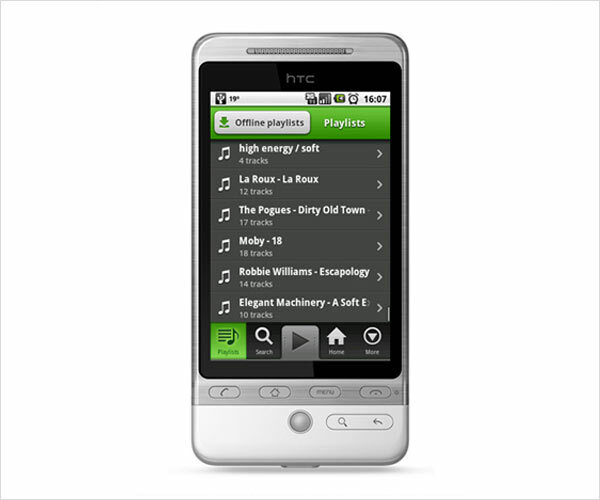 You guessed it, its the official Spotify client which enables you to listen to your Spotify playlists wherever you go. You need to be a Premium subscriber to use this application, but I’d say its definitely worth it. You don’t know what Spotify is? Then it’s time you came out of your cave and check out their website. The client has all the features the computer client does (i think), and as long as you’ve either downloaded playlists to be available offline, or have a 3G connection you should be ready to go. Hey this was pretty much needed and at last I got it here. I liked the Ringdrois one…Thanks for sharing. ES File Explorer is also very useful. It lets you mount your shared drive (PC, Network drive, etc) and move/copy files wirelessly, without having to tether to a PC using USB cable. Also, try out Google MyTracks. We just published our very first application called mGuessWho!? for a socially collaborative learning. 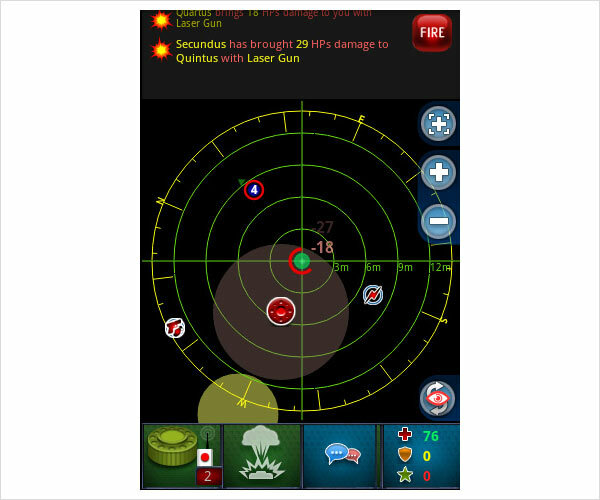 Allows user to exercise their critical thinking and process of elimination skills. Hope you try it out. i really like the Locale apps . ATK sort of killed my battery pretty badly in the past until i uninstalled it. Your list is pretty neat, though i didn’t see my best finance app EasyMoney here. Thanks great list! Allready use some of them! You gotta have Tactile Player on that list!! some application you displayed are relatively new for me. I am sure gonna try them all. Hi, I find this one the best app for file management “ASTRO File Manager”. simply cool and useful apps.